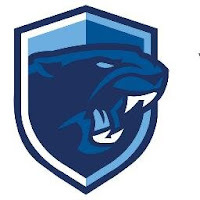 – Franklin junior Liam Dailey shined in relief, tossing four shutout innings to help the Panthers edge visiting Mansfield. The Hornets scored four runs over the first three innings but Dailey was nearly flawless in his four innings of work, allowing no hits, runs, or walks, striking out one with one hit batter. Mansfield went up 1-0 in the top of the second but Franklin responded with two runs in the bottom half. Dan Markowski knocked in Cooper Ross (2-for-3, run) to tie it, and Brennan Rivera plated JB Floris (2-for-2, RBI, run) to make it 2-1. Dan Saraceno blasted a two-run home run in the top of the third, highlighting a three-run inning for the Hornets. But once again, Franklin had an answer with three runs of its own. Jake Macchi plated two with a double to tie the game, and Floris brought Macchi home with a sacrifice fly for the winning-run." "Ben is still only in puppy kindergarten"